Synopsis: A band of desperate chickens trapped in a prison-like farm, seek the help of a cocky American rooster in order to escape from being made into chicken pies by their sadistic owner and her oafish husband. A glorious stop-motion send-up to Prisoner of War movies such as “The Great Escape”, Chicken Run possesses something for every one of every age to enjoy. 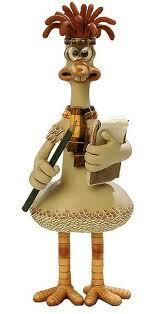 It has the comedy to engage young children but a serious, emotional side that adults can equally relate to. There is humour, pathos and thrilling action sequences that will keep you on the edge of your seat. The stop-motion is just fantastic to look at. 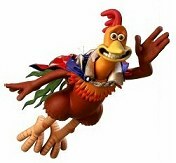 The old school Fowler, who always speaks of his RAF days, acts as a mentor to the other chickens as he introduces discipline to them and eventually comes up with the main method of escape. This reminded me of how humans are usually in one way or another put into groups such as this with each individual having a unique or special quality. I also think that the various nods to POW films are funny and inventive, this is clearly shown in the opening scene in which Ginger and the others attempt another escape at night, only to be thwarted by Tweedy and her two evil dogs. The scene is a clear homage (and spoof) of “The Great Escape”. Whilst the humour is hysterical throughout the film, there are equally emotional and sad moments as well. The many escape attempts of the chickens make the audience feel sympathy for them. One of the most memorable scenes occurs near the beginning of the film; the chickens have all lined up as the evil Mrs. Tweedy comes to inspect their egg count. The scene is reminiscent of POW films in the set-up of the chickens behind a chain-link fence and being under the rule of another power. 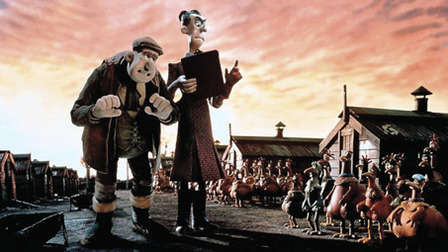 The scene is deliberately filmed from low-angle shots to give the sense that Mrs. Tweedy is the one in control and the chickens are cowering beneath her. As she continues to menacingly patrol up and down the lines, she notices on her records a shortage of eggs from a certain chicken named Edwina. The terrified Edwina is then taken away to what all of the chickens refer to as “The Chop”, in other words where they are to be killed. Ginger leaves the line and climbs to the roof of one of the pens. Although we don’t actually see Edwina being killed (we just see the shadow of Tweedy raising the axe), it’s the sad reaction of the other chickens as the thud of the axe comes down that leaves a lump in the throat and a tear in the eye. The scene is further saddened as an upset Ginger watches a flock of birds fly over the fence, symbolizing her desire to escape from the farm and live in freedom. Despite this, or maybe because of it, Ginger tries to boost morale with another escape attempt, to which the others are not so sure. This leads the way for the arrival of Rocky, a rooster who, unbeknownst to the rest of the chickens, can’t fly but has been blasted from a cannon as part of a circus act. He promises to teach them how to fly but later has a crisis of judgment with himself. Rocky makes for an interesting character as shown by his brittle arguments with his polar opposite Ginger. He is the perfect foil to the character of Ginger. They are like chalk and cheese in terms of personality. One of the most exciting sequences comes after the arrival of the pie machine. Before this, the selfish and heartless Mrs. Tweedy has grown tired of collecting eggs and seeks a new way of making money for herself. With the machine built, Tweedy wants to test it out and takes Ginger to be the first victim. 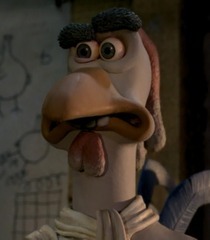 The reaction of the other chickens as they panic intensely lightens the mood before the action begins. Rocky then decides to rescue her and he silently enters the farm. Ginger is strapped to restraints as the machine starts and edges her closer towards the dropping chute. The music that underscores this scene adds an adventurous and action-packed feeling. Rocky then finds himself searching for Ginger whilst trying to avoid the various instruments of death such as the roller to flatten the pastry. To slow the machine down, Rocky sticks a carrot into the gravy producer causing the pressure to rise. After finding themselves in the oven, Rocky falls into the pies whilst Ginger manages to find the exit. To stop the exit from closing Ginger uses a spanner to wedge it open; she then goes back and manages to save Rocky just in the nick of time. After escaping from the machine they find a poster of Mrs. Tweedy’s chicken pies and decide to show the other chickens what she is up to. The scene changes how Ginger sees Rocky as a character. Before this she sees him as being arrogant, but after saving her she starts to see him as a hero and takes a shine to him. 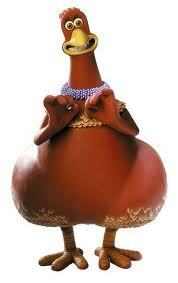 This is also when Rocky begins to feel like a fraud and starts to feel for the other chickens. This is especially evident after Fowler, who originally looked at Rocky with a disdainful eye, gives him a medal of honour for his rescue of Ginger. After this, Rocky decides to run away, this is a move that upsets the chickens, as they all believed he was the answer to their prayers. Fowler non-intentionally gives them an escape idea of building a crate to fly out of the farm. They work against the clock to build it whilst Mr. Tweedy attempts to repair the machine for his merciless wife. In this quest, they are aided by two sticky-fingered rats known appropriately as Nick and Fetcher, who provide some great comic scenes. As they attempt to fly away, Tweedy tries to thwart the plan but Rocky heroically returns and aids them. By doing this, Rocky has gone from being the anti-hero to the hero. A nail-biting climax follows as a demented and evil Tweedy again tries to cut off the escape plan in psychopathic fashion. 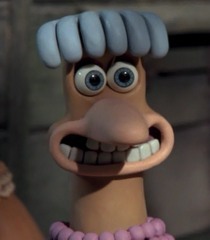 If you are looking for a film that has laughs, sadness and glorious effects then “Chicken Run” is the film I would advice you watch. This film will seriously make you reconsider eating chicken pie ever again. Synopsis: A young, scheming and manipulative ingenue insidiously worms her way into her theatre idol’s social circle, armed with a cunning plan to replace her and take her acting crown from her. All About Eve is the ultimate backstage drama, brimming with acerbic wit and as many quotable lines as that great playwright Shakespeare. Starring the legendary Bette Davis in a role that fits her just like a glove, All about Eve is one of the most critical, wittiest and darkest insights into the word of show business and the ways in which you can become famous in an underhand way. The film begins with a scene of the theatre awards. 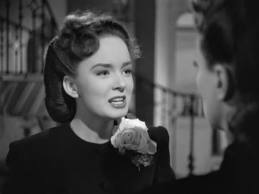 As the camera pans around the room, the theatre critic Addison DeWitt delivers a knowing voice over that explains something about each of the principal characters that will appear in the film. This also gives an insight into his own character as he has a suave and slightly haughty voice. When his voice over finishes, an award is presented to the eponymous Eve. 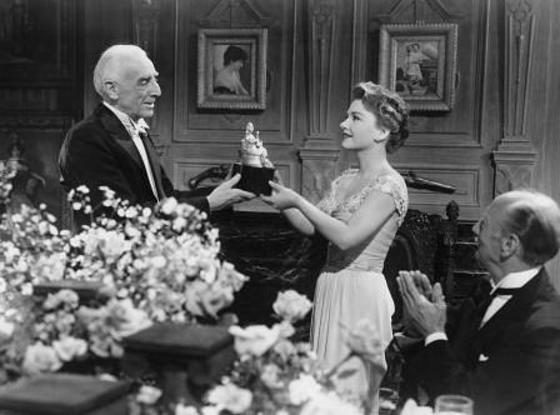 As she accepts the award with an innocent and girlish bow, the film freezes and everyone else’s reaction to her acceptance is shown, mostly with a hint of disdain. The film then goes to a flashback to explain how the see mingly innocent and graceful Eve managed to accomplish this high and extremely prestigious honour. This is one of my favourite scenes in the movie, as I like how the story starts at the end and then goes back to the beginning to explain what is happening in the present. The way in which the camera moves about the room as Addison gives his blunt view on each of the important characters is amazing. The audience sees what Addison wants us to see and they see the characters from his viewpoint, as we don’t know anything about them except what Addison is telling us. But one of the best and most memorable moments in the film comes when after her car breaks down and she can’t make it to the theatre to perform, Margo opens up to Karen about herself and how insecure and full of doubt she is. I find this moment very reflective, as the character of Margo comes across as she does on the stage, perfect and outstanding. Although she can be bitchy and defensive, beneath this façade she has the same troubles as everyone else. Her monologue is amazing in its honesty and shows her vulnerable side that she has hidden away from others to survive in the theatre industry. Her whole life is the theatre and she knows that she isn’t going to be young forever, so this adds to the melancholy tone of her monologue. The last lines of her self-reflective monologue are especially revelatory of how much the theatre means to her, “Slow Curtain . The end”. This is clearly referencing the end of traditional plays or motion pictures. One of the main aspects of the film that makes it so memorable is its caustic and witty screenplay. I especially love the part in which at a party Margo, who is starting to grow suspicious of Eve, delivers the now famous lines to her guests “Fasten your seat belts. It’s going to be a bumpy night”. This kind of cynical wordplay is heard throughout the film; it also helps make a satire out of the various unjust ways of becoming a star. The biting bitchery and numerous barbed exchanges between the characters in the film are just fantastic to watch. The theme of identity is apparent in many ways throughout the movie. 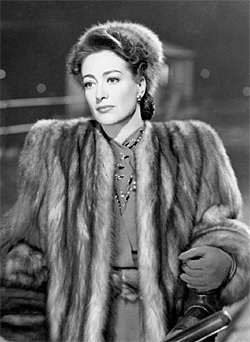 Eve makes numerous attempts to take Margo’s place as the queen of the theatre. She is her obsessive number one fan who will stop at nothing to become a star. She is basically trying to take Margo’s theatrical crown. Eve will stop at nothing to become a star and she knows exactly how to get it. Also, the ways in which Margo’s friends perceive Eve. 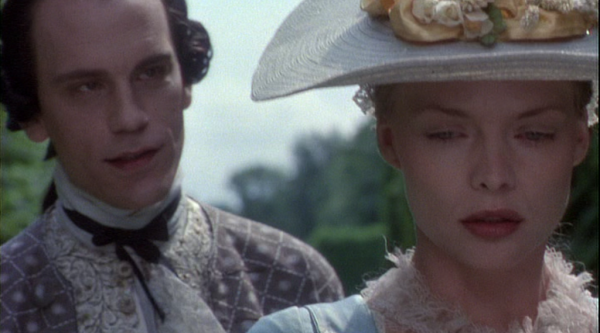 She is deceitful and ruthless but comes across as an adoring and naive young woman. There are only two people who see through Eve’s lies at the beginning of the film, Addison and Birdie. 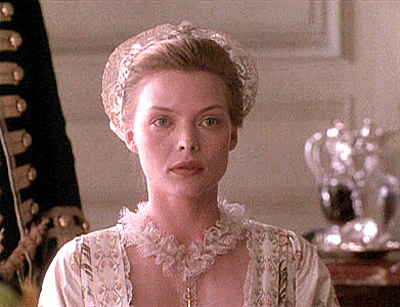 Later on in the movie, the others begin to see the real Eve behind the mask of innocence and how she has used them for her own personal gain. The performances are uniformly excellent, especially those of Bette Davis and Anne Baxter. I find it interesting that one character is eventually getting older and her career is fading while the other is very youthful and her career is just about to begin. The eponymous Eve appears to have had a hard life and be a sweet and naive girl but her real motives are to become a big star no matter what the cost. Baxter brings a girlish charm to the conniving and cunning character of Eve, a trait that helps her character infiltrate her idol’s social posse with a charming and shy disposition. 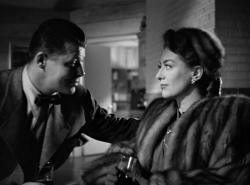 Thelma Ritter lights up the supporting cast and provides the cynical humour as Margo’s assistant, Birdie. Her clipped reply to Eve’s sob story when she meets Margo “What a story! Everything but the bloodhounds snapping at her rear end” provides a knowing quality to her, as she is the first to see through the young fan’s deception. Celeste Holm is glowing as the woman taken in by Eve, but ultimately used by her without her noticing. Out of the few men in the film, George Sanders as the poisonous critic Addison stands out. He is pitch perfect as the caddish and dishonest critic who also sees through Eve’s sly deception but helps her ultimately become a star. 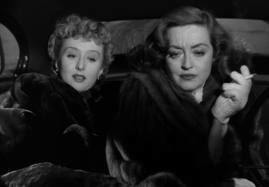 Even if you don’t like old movies, one cannot resist the charm and brutal wit in All About Eve. If you want to watch a film with fantastic dialogue and equally outstanding performances, All About Eve is definitely the film for you. Movie trivia buffs should look out for a cameo featuring Marilyn Monroe in one of her first movie roles. Synopsis: At the end of World War II, a New England judge is sent to Nuremberg,Germany to preside over the trial of four men accused of carrying out Nazi crimes. 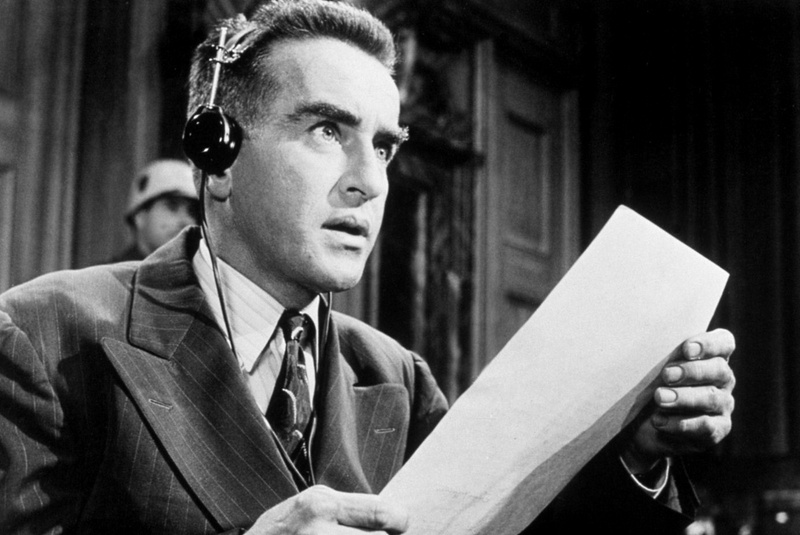 Judgment at Nuremberg is the riveting, shocking and powerful courtroom drama that presents a fictional account of one of the many Nuremberg trials. Stanley Kramer, who was known and sometimes decried for his so-called message movies, proved that he could direct a film with real meaning and careful handling of an extremely controversial issue with this film that was nominated for eleven Oscars. The film won two, one for Best Actor for the then unknown Schell and one for Abby Mann’s script. As director and also producer Kramer assembled a once in a lifetime cast headed by Spencer Tracy; no matter how big or small the role is in the movie each actor brings something special to the part. What I liked most about the film was the way in which it presented a controversial issue and didn’t leave out anything important or cover it up. 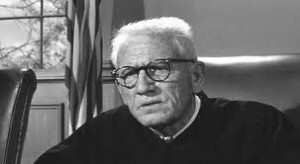 Whereas some courtroom dramas can drag on and become monotonous, Judgment at Nuremberg kept me glued to the screen throughout its lengthy running time. One of the most important things that drew me into the film was the various performances. For a movie with a starry cast it didn’t relegate anyone to the side lines but let each member give something unique to the film. 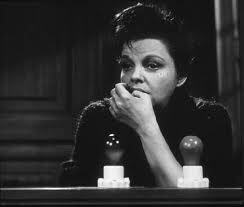 In a performance that lasts for around ten minutes, a barely recognizable Judy Garland gives an emotional and heart wrenching weight to the film as Irene Hoffman, a German woman whose friendship with a Jewish man had her imprisoned and him murdered. The moment, in which she breaks down after being intensely questioned during the proceedings, is sad to watch, one needs only to look at her eyes to see the pain it is causing her. Montgomery Clift also gives an equally harrowing and poignant performance as Rudolph Peterson; a man considered feeble-minded who was sterilised for this reason by the Nazis. When I viewed the scene in which Clift nervously recounts what happened to him, and vehemently tries to deny that he is not feeble-minded, I was shocked and repulsed at how things such as this could have happened to people. Another aspect of the film that I found interesting was the clear difference of the two men in charge of the proceedings, the American Colonel Lawson and the German Hans Rolfe. One of them wants every Nazi to pay for what they did while the other says that the men accused were merely following the orders given to them. This presents an interesting point as there are no easily identifiable bad guys in the film and the proceedings that follow are enthralling because of this. Both Widmark and Schell are outstanding as polar opposites who often verbally clash during the Trials. Marlene Dietrich is also outstanding and convincing in a role not usually associated with her; her general role was as the femme fatale or the seductive cabaret girl. 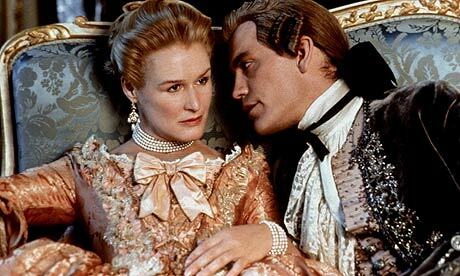 But in this film she portrays a German widow whose Nazi husband was killed during another trial. I think her character is interesting as she is the flip side of what people saw at the time as the stereotype of German people and she tries to convince Judge Haywood that Germans are not all monsters. Although he doesn’t talk a lot in the film (except his two highly dramatic monologues) Burt Lancaster is amazing and barely recognizable as one of the four men accused of carrying out the atrocities. Star Trek fans should look out for William Shatner in a small early role as a captain. Nuremberg investigates the theme of national identity. At the time of the film’s release, German’s where not seen in a good light. This is why the character of Madame Bertholt is featured in the film. She is there to show that not all German’s believed in Nazism during the World War. Identity is also apparent throughout the court proceedings, it is examined in the case of Irene’s friendship with a Jewish man that had tragic and horrific consequences. The court looks at the way in which Jew’s were treated during the Holocaust. The main scene that has stayed with me is when Lawson shows real footage from concentration camps as evidence in the court proceedings; it is a haunting and extremely dramatic scene that lives long in the memory. Up until this point in time, hardly any footage from the Camps had been shown, so one can imagine the audience reaction when the film was shown in 1961. I remember how shocked I felt when I watched this scene; it was one of those moments where something is so shocking that you must continue watching it. I thought that it was a bold and brave move to feature this footage as the Nuremberg Trials and the Holocaust where issues that needed to be addressed. The film didn’t shy away from dealing with the issue honestly and the results are fantastic and extremely realistic. The real star though for me is Tracy, he brings a dignity to the character of Judge Haywood wh o the burden of the case lies on.Tracy brings his usual understated personality to the part and he is the person who is most conflicted throughout the proceedings. In the end the difficult decision falls upon his old and wise shoulders. 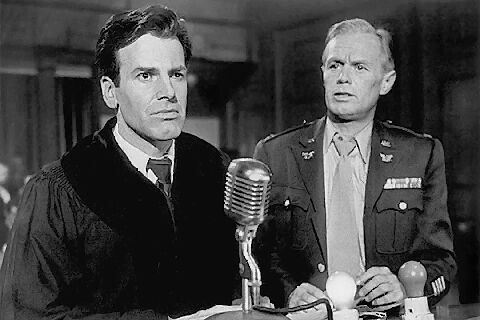 Judgment at Nuremberg is a fantastic courtroom drama that deserves to be better known. This film is a prime example of how a drama about a serious issue can still be enthralling and thought-provoking without being boring.